What is the constitutional provision on protection to labor?? What rules govern the proceedings before the Labor Arbiters and the NLRC? 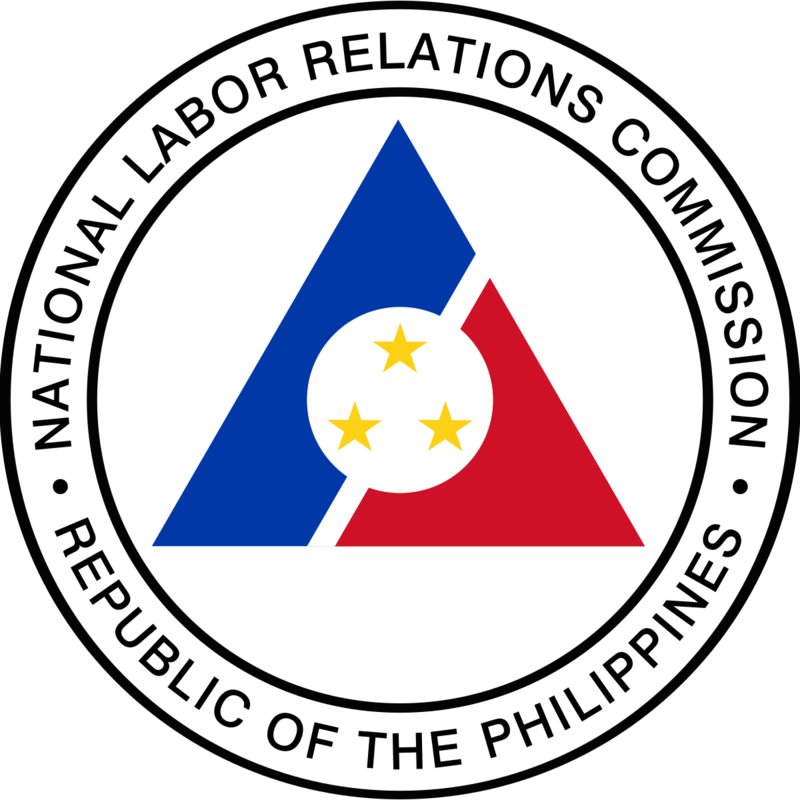 The proceedings before the Labor Arbiters and the NLRC are governed by the Labor Code, as amended, the 2011 NLRC Rules of Procedure, and suppletorily, the Rules of Court. What is the nature of the proceedings before the Labor Arbiter? The NLRC Rules describe the proceedings before the Labor Arbiter as non-litigious. Subject to the requirements of due process, the technicalities of law and procedure in the regular courts do not apply in the labor arbitration proceedings. What are the cases falling under the jurisdiction of the Labor Arbiters? 11.Other cases as may be provided by law. May a non-lawyer appear in any of the proceedings before the Labor Arbiter or Commission? 5. he/she is the owner or president of a corporation or establishment which is a party to the case: Provided, that he/she presents: (i) a verified certification attesting that he/she is authorized to represent said corporation or establishment; and (ii) a copy of the resolution of the board of directors of said corporation, or other similar resolution or instrument issued by said establishment, granting him/her such authority. What is the effect of non-appearance of the parties in the mandatory conciliation and mediation conference? What is the role of the Labor Arbiter in hearing and clarificatory conference? The Labor Arbiter shall take full control and personally conduct the hearing or clarificatory conference and may ask questions for the purpose of clarifying points of law or facts involved in the case. The Labor Arbiter may allow the presentation of testimonial evidence with right of cross-examination by the opposing party and shall limit the presentation of evidence to matters relevant to the issue before him/her and necessary for a just and speedy disposition of the case. The Labor Arbiter shall make a written summary of the proceedings, including the substance of the evidence presented, in consultation with the parties. The written summary shall be signed by the parties and shall form part of the records. What is the period within which to conduct clarificatory conference? The parties and their counsels appearing before the Labor Arbiter shall be prepared for continuous hearing or clarificatory conference. No postponement or continuance shall be allowed by the Labor Arbiter, except upon meritorious grounds and subject to the requirement of expeditious disposition of cases. The hearing or clarificatory conference shall be terminated within thirty (30) calendar days from the date of the initial clarificatory conference. In cases involving overseas Filipino workers, the aggregate period for conducting the mandatory conciliation and mediation conference, including hearing on the merits or clarificatory conference, shall not exceed sixty (60) days, which will be reckoned from the date of acquisition of jurisdiction by the Labor Arbiter over the person of the respondents. What is the effect of non-appearance of the parties during clarificatory conference? In case of non-appearance of any of the parties during the hearing or clarificatory conference despite due notice, proceedings shall be conducted ex parte. Thereafter, the case shall be deemed submitted for decision. What is the period within which to file a motion for postponement? No motion for postponement shall be entertained except on meritorious grounds and when filed at least three (3) days before the scheduled hearing. What is the period within which to cause an amendment of the complaint or petition? No amendment of the complaint or petition shall be allowed after the filing of position papers, unless with leave of the Labor Arbiter. What are the prohibited pleadings and motions? The following pleadings and motions shall not be allowed and acted upon nor elevated to the Commission: (a) Motion to dismiss the complaint except on the ground of lack of jurisdiction over the subject matter, improper venue, res judicata, prescription and forum shopping; (b) Motion for a bill of particulars; (c) Motion for new trial; (d) Petition for Relief from Judgment; (e) Motion to declare respondent in default; (f) Motion for reconsideration of any decision or any order of the Labor Arbiter; (g) Appeal from any interlocutory order of the Labor Arbiter, such as but not limited to, an order: denying a motion to dismiss, denying a motion to inhibit; denying a motion for issuance of writ of execution, or denying a motion to quash writ of execution; (h) Appeal from the issuance of a certificate of finality of decision by the Labor Arbiter; (i) Appeal from orders issued by the Labor Arbiter in the course of execution proceedings; and (j) Such other pleadings, motions and petitions of similar nature intended to circumvent above provisions. May the Commission blacklist bonding companies? Yes. 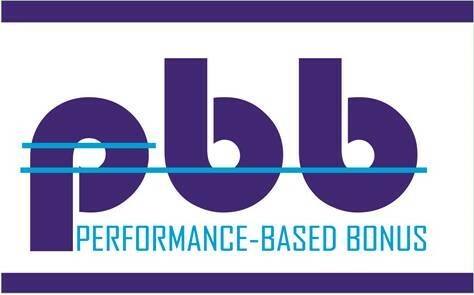 The Commission through the Chairman may on justifiable grounds blacklist a bonding company, notwithstanding its accreditation by the Supreme Court. 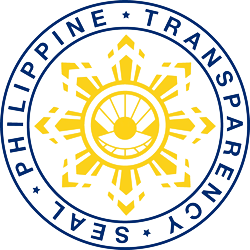 Upon verification by the Commission that the bond is irregular or not genuine, the Commission shall cause the immediate dismissal of the appeal, and censure the responsible parties and their counsels, or subject them to reasonable fine or penalty, and the bonding company may be blacklisted. May a party file a motion to revive and re-open a case dismissed without prejudice? Yes. A party may file a motion to revive or re-open a case dismissed without prejudice, within ten (10) calendar days from receipt of notice of the order dismissing the same; otherwise, the only remedy shall be to re-file the case. A party declared to have waived his/her right to file position paper may, at any time after notice thereof and before the case is submitted for decision, file a motion under oath to set aside the order of waiver upon proper showing that his/her failure to appear was due to justifiable and meritorious grounds. What is the effect of rehabilitation receivership on monetary claims of workers? Rehabilitation receivership of a company has the effect of suspending all proceedings – at whatever stage it may be found - in all judicial or quasi-judicial bodies. The NLRC may not proceed with hearing of monetary claims. If already decided, the monetary awards cannot be executed. If due for execution, no such execution may be had. Only when there is liquidation that the monetary claims may be asserted. The suspension of the proceedings is necessary to enable the rehabilitation receiver to effectively exercise its powers free from any judicial or extra-judicial interference that might unduly hinder the rescue of the distressed company. Once the receivership proceedings have ceased and the receiver/liquidator is given the imprimatur to proceed with corporate liquidation, the SEC order becomes functus officio. Thus, there is no legal impediment for the execution of the decision of the Labor Arbiter for the payment of separation pay by presenting it with the rehabilitation receiver and liquidator, subject to the rules on preference of credits. What are the two kinds of jurisdiction of the NLRC? The National Labor Relations Commission exercises two (2) kinds of jurisdiction: (1) Original jurisdiction; and (2) Exclusive appellate jurisdiction. Certified labor disputes causing or likely to cause a strike or lockout in an industry indispensable to the national interest, certified to it by the Secretary of Labor and Employment for compulsory arbitration. Cases decided by the DOLE Regional Directors or his duly authorized Hearing Officers (under Article 129) involving recovery of wages, simple money claims and other benefits not exceeding P5,000 and not accompanied by claim for reinstatement. What is the power to assume jurisdiction or certify “national interest” labor disputes to NLRC? When, in his opinion, there exists a labor dispute causing or likely to cause a strike or lockout in an industry indispensable to the national interest, the Secretary of Labor and Employment may assume jurisdiction over the dispute and decide it or certify the same to the Commission for compulsory arbitration. In case of conflict, who has jurisdiction over termination disputes, Labor Arbiter or Voluntary Arbitrator? Jurisdiction over termination disputes belongs to Labor Arbiters and not with the grievance machinery or Voluntary Arbitrator. Under Article 262, the Voluntary Arbitrator may assume jurisdiction only when agreed upon by the parties. Policy Instructions No. 56 issued by DOLE Secretary Confesor clarifying the jurisdiction of Labor Arbiters and Voluntary Arbitrations does not apply. It reiterated the ruling that dismissal is not a grievable issue. What is the mode of appeal from the decision of the Labor Arbiters? Appeal from the decision of the Labor Arbiter is brought by ordinary appeal to the NLRC within ten (10) calendar days from receipt by the party of the decision. From the decision of the NLRC, there is no appeal. The only way to elevate the case to the Court of Appeals is by way of the special civil action of certiorari under Rule 65 of the Rules of Civil Procedure. From the ruling of the Court of the Appeals, it may be elevated to the Supreme Court by way of ordinary appeal under Rule 45 of the Rules of Civil Procedure. What are the requisites for perfection of appeal? The appeal shall be: (1) filed within the reglementary period provided in Section 1 of the Rule; (2) verified by the appellant himself/herself in accordance with Section 4, Rule 7 of the Rules of Court, as amended; (3) in the form of a memorandum of appeal which shall state the grounds relied upon and the arguments in support thereof, the relief prayed for, and with a statement of the date the appellant received the appealed decision, award or order; (4) in three (3) legibly typewritten or printed copies; and (5) accompanied by proof of payment of the required appeal fee and legal research fee, posting of a cash or surety bond as provided in Section 6 of this Rule, and proof of service upon the other parties. What is the reinstatement aspect of the Labor Arbiter’s decision? If reinstatement is ordered by the Labor Arbiter in an illegal dismissal case, it is immediately executory even pending appeal. Such award does not require a writ of execution. Is posting a bond stay the execution of immediate reinstatement? No. The posting of a bond by the employer does not have the effect of staying the execution of the reinstatement aspect of the decision of the Labor Arbiter. Can the Labor Arbiter issue a partial writ pending appeal? Yes. In case the decision includes an order of reinstatement and the employer disobeys it or refuses to reinstate the dismissed employee, the Labor Arbiter should immediately issue a writ of execution, even pending appeal, directing the employer to immediately reinstate the dismissed employee either physically or in the payroll, and to pay the accrued salaries as a consequence of such reinstatement at the rate specified in the decision. The Sheriff should serve the writ of execution upon the employer or any other person required by law to obey the same. If he disobeys the writ, such employer or person may be cited for contempt. While the perfection of appeal will stay the execution of the decision of a Labor Arbiter, the partial execution for reinstatement pending appeal is not affected by such perfection. Is the award of reinstatement pending appeal by the Labor Arbiter self-executory? Yes. An award or order of reinstatement is self-executory and, therefore, does not require a writ of execution to implement and enforce it. To require the application for and issuance of a writ of execution as pre-requisite for the execution of a reinstatement award would certainly betray and run counter to the very object and intent of Article 223, i.e., the immediate execution of a reinstatement order. The reason is simple. An application for a writ of execution and its issuance could be delayed for numerous reasons. A mere continuance or postponement of a scheduled hearing, for instance, or an inaction on the part of the Labor Arbiter or the NLRC, could easily delay the issuance of the writ thereby setting at naught the strict mandate and noble purpose envisioned by Article 223. What is the period within which to conduct pre-execution conference? Within two (2) working days from receipt of a motion for the issuance of a writ of execution which shall be accompanied by a computation of a judgment award, if necessary, the Commission or the Labor Arbiter may schedule a pre-execution conference to thresh out matters relevant to execution including the final computation of monetary award. The pre-execution conference shall not exceed fifteen (15) calendar days from the initial schedule, unless the parties agreed to an extension. Any order issued by the Labor Arbiter in the pre-execution conference is not appealable, subject to the remedies available under Rule XII (Extraordinary Remedies). Is writ of execution necessary in case reinstatement is ordered by the NLRC on appeal? Yes. While it is now well-settled that a writ of execution is not necessary to implement the reinstatement order issued by a Labor Arbiter upon a finding of illegality of dismissal since it is self-executory, however, if the reinstatement order is issued by the NLRC on appeal, there is a need to secure a writ of execution from the Labor Arbiter a quo to enforce the reinstatement of the employee. What is the lifetime or effectivity of the writ of execution? Five (5) years. In case of partial satisfaction of judgment during the lifetime of the writ, the Labor Arbiter shall motu proprio issue an updated writ reflecting the amount collected and the remaining balance. What is the effect of refusal of the bonding company or bank holding the cash deposit of the losing party to release the garnished amount? If the bonding company refuses to pay or the bank holding the cash deposit of the losing party refuses to release the garnished amount despite the order or pertinent processes issued by the Labor Arbiter or the Commission, the president or the responsible officers or authorized representatives of the said bonding company or the bank who resisted or caused the non-compliance shall be either cited for contempt, or held liable for resistance and disobedience to a person in authority or the agents of such person as provided under the pertinent provision of the Revised Penal Code. This rule shall likewise apply to any person or party who unlawfully resists or refuses to comply with the break open order issued by the Labor Arbiter or the Commission. What is the power of the DOLE Secretary to assume jurisdiction over a labor dispute or certify it to the NLRC for compulsory arbitration? The DOLE Secretary may assume jurisdiction over a labor dispute, or certify it to the NLRC for compulsory arbitration, if, in his opinion, it may cause or likely to cause a strike or lockout in an industry indispensable to the national interest. The President may also exercise the power to assume jurisdiction over a labor dispute. What is the effect of such assumption or certification of labor dispute to the NLRC? The following are the effects: (a) on intended or impending strike or lockout– automatically enjoined even if a Motion for Reconsideration is filed; (b) on actual strike or lockout– strikers or locked out employees should immediately return to work and employer should readmit them back; and (c) on cases filed or may be filed – all shall be subsumed/absorbed by the assumed or certified case except when the order specified otherwise. The parties to the case should inform the DOLE Secretary of pendency thereof. May an injunction be issued in strike or lockout cases? As a general rule, strikes and lockouts validly declared, enjoy the protection of law and cannot be enjoined unless illegal acts are committed or threatened to be committed in the course of such strikes or lockouts. Ordinarily, the law vests in the NLRC the authority to issue injunctions to restrain the commission of illegal acts during the strikes and pickets. This policy applies even if the strike appears to be illegal in nature. The rationale for this policy is the protection extended to the right to strike under the constitution and the law. It is basically treated as a weapon that the law guarantees to employees for the advancement of their interest and for their protection. 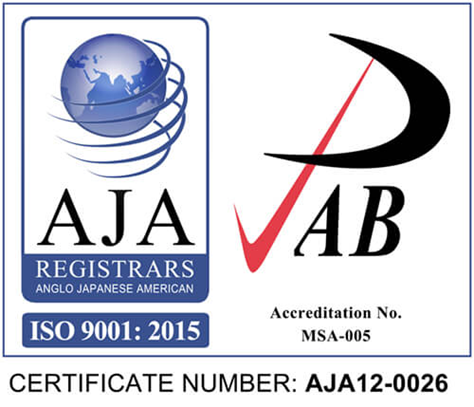 What is the effect of defiance of assumption or certification order or return-to-work order? 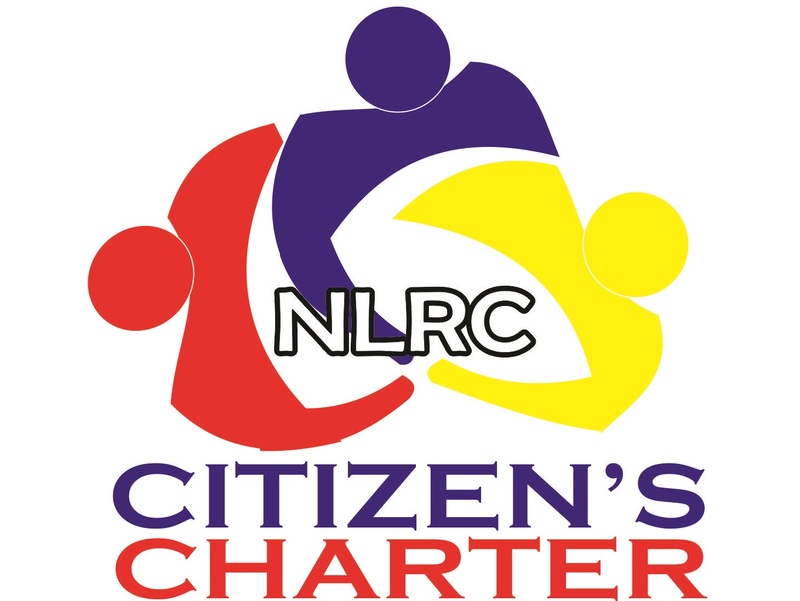 Non-compliance with the assumption/certification order of the Secretary of Labor and Employment or a return-to-work order issued pursuant thereto by either the Secretary or the NLRC to which a labor dispute is certified, is considered an illegal act committed in the course of the strike or lockout. What is the prescriptive period for offenses penalized under the Labor Code? As a rule, the prescriptive period of all criminal offenses penalized under the Labor Code and the Rules to Implement the Labor Codeis three (3) years from the time of commission thereof. However, criminal cases arising from ULP which prescribe within one (1) year from the time the acts complained of were committed; otherwise, they shall be forever barred. The running of the 1 year period, however, is interrupted during the pendency of the labor case. What is the prescriptive period for money claims? Prescriptive period is three (3) years from accrual of cause of action. What is the prescriptive period for claims for allowances and other benefits? In cases of nonpayment of allowances and other monetary benefits, if it is established that the benefits being claimed have been withheld from the employee for a period longer than three (3) years, the amount pertaining to the period beyond the three-year prescriptive period is barred by prescription. The amount that can only be demanded by the aggrieved employee shall be limited to the amount of the benefits withheld within three (3) years before the filing of the complaint. What is the prescriptive period for illegal dismissal? An action for illegal dismissal prescribes in four (4) years from accrual of cause of action. What is the remedy of the party aggrieved by an order or resolution of the Labor Arbiter? A party aggrieved by any order or resolution of the Labor Arbiter including those issued during execution proceedings may file a verified petition to annul or modify such order or resolution. The petition may be accompanied by an application for the issuance of a temporary restraining order and/or writ of preliminary or permanent injunction to enjoin the Labor Arbiter, or any person acting under his/her authority, to desist from enforcing said resolution or order. What are the grounds of the petition for extraordinary remedies? The petition filed under this Rule may be entertained only on any of the following grounds: (a) if there is prima facie evidence of abuse of discretion on the part of the Labor Arbiter; (b) if serious errors in the findings of facts are raised which, if not corrected, would cause grave or irreparable damage or injury to the petitioner; (c) if a party by fraud, accident, mistake or excusable negligence has been prevented from taking an appeal; (d) if made purely on questions of law; or (e) if the order or resolution will cause injustice if not rectified. What are the requisites of the petition for extraordinary remedies? The petition for extraordinary remedies shall: (a) be accompanied by a clear original or certified true copy of the order or resolution assailed, together with clear copies of documents relevant or related to the said order or resolution for the proper understanding of the issue/s involved; (b) contain the arbitral docket number and appeal docket number, if any; (c) state the material date showing the timeliness of the petition; (d) be verified by the petitioner himself/herself in accordance with Section 4, Rule 7 of the Rules of Court, as amended; (e) be in the form of a memorandum which shall state the ground/s relied upon, the argument/s in support thereof and the reliefs prayed for; (f) be in three (3) legibly written or printed copies; and (g) be accompanied by certificate of non-forum shopping, proof of service upon the other party/ies and the Labor Arbiter who issued the order or resolution being assailed or questioned; and proof of payment of the required fees. What is unfair labor practice? An unfair labor practice act violates the right of workers to self-organization, is inimical to the legitimate interests of both labor and management, including their right to bargain collectively and otherwise deal with each other in an atmosphere of freedom and mutual respect, disrupts industrial peace and hinders the promotion of healthy and stable labor-management relations. May elimination or diminution of benefits constitute demotion? Yes. The illegal and unjustified elimination or diminution of certain benefits may result in illegal demotion. Under established jurisprudence, there is demotion where the act of the employer results in the lowering in position or rank or reduction in salary of the employee. It involves a situation where an employee is relegated to a subordinate or less important position constituting a reduction to a lower grade or rank with a corresponding decrease in duties and responsibilities and usually accompanied by a decrease in salary. May elimination or diminution of benefits constitute constructive dismissal? Yes. Elimination or diminution of certain benefits may result in the constructive dismissal of an employee. Constructive dismissal is an involuntary resignation resorted to when continued employment is rendered impossible, unreasonable or unlikely; when there is a demotion in rank and/or a diminution in pay; or when a clear discrimination, insensibility or disdain by an employer becomes unbearable to the employee that it could foreclose any choice by him except to forego his continued employment.